Having a dog to take care of is a great excuse to enjoy long, leisurely walks, without feeling like you should be doing something more productive. And Marina Del Rey is a dog-walking paradise. 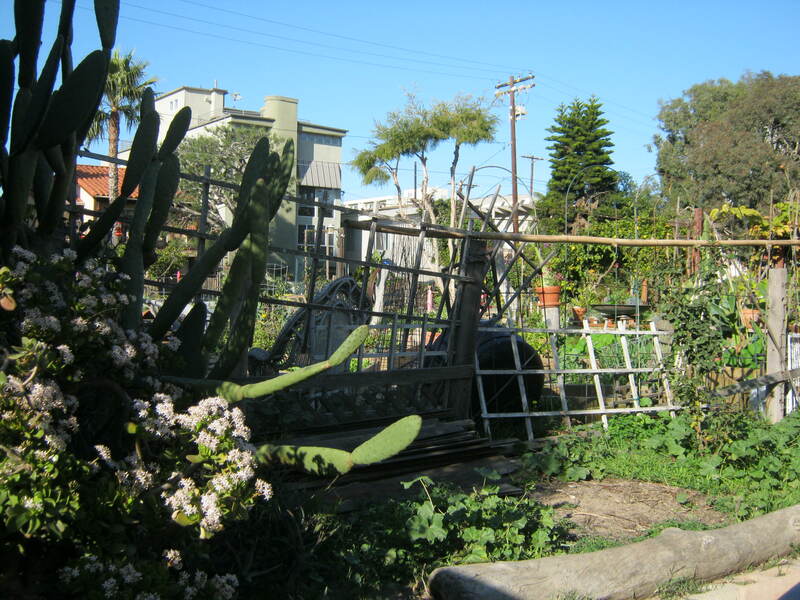 Moving right along, we came to the Eastwind Gardens, a small community garden. Most plots looked rather untended and shaggy, which could be attributed to the fact that it’s winter, hopefully not due to neglect. Still, I was concerned by the conspicuous absence of snap peas and cabbage. 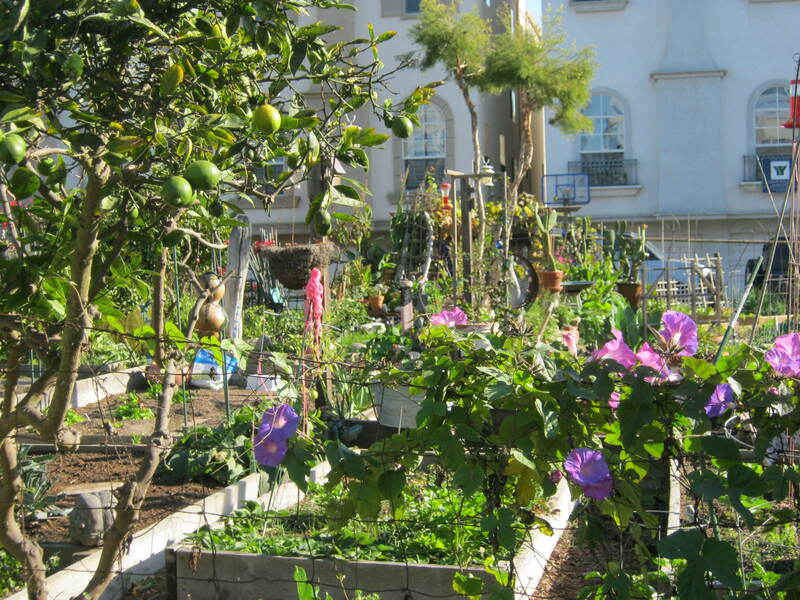 Fruit trees, ornamental vines, cacti and, I presume, some veggies grow willy-nilly at the Eastwind Gardens. 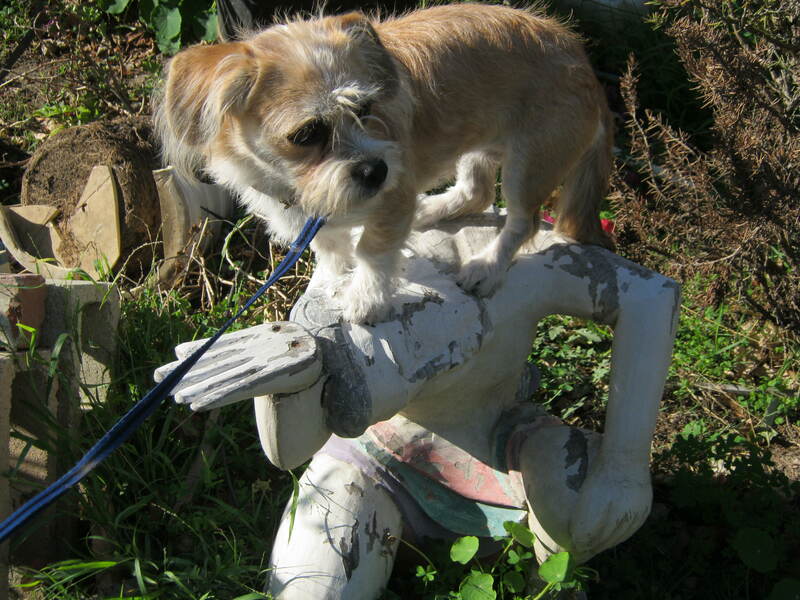 Nelly attains Enlightenment by standing on a Buddha garden statue. 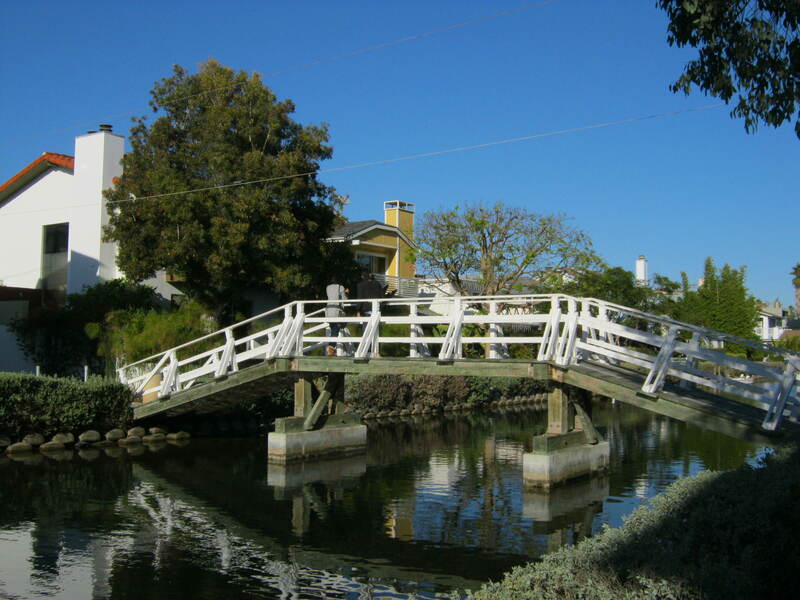 Continuing down Pacific Avenue toward Venice, we crossed Washington Boulevard to the south end of the Venice Canals. In 1905, entrepreneur Abbott Kinney dreamed of creating a “Venice of America,” complete with light-strung canals and gondolas, fashioned after the original Venice. (If only he could have lived to join in the singing of “That’s Amore” at C & O Cucina, or better yet try their garlic rolls.) 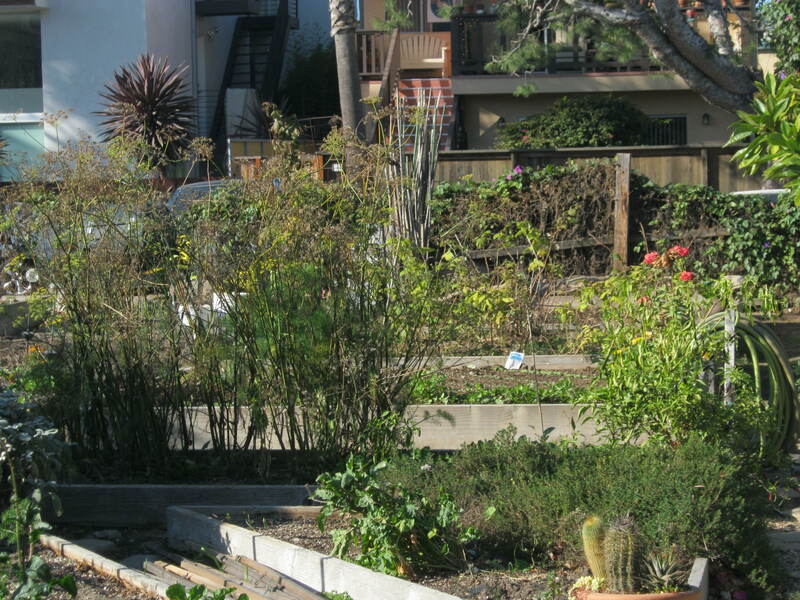 His vision materialized, putting Venice, CA, on the map in a big way. Tourists came in droves in the 1920s for the amusement and pleasure pier, to take a gondola ride and to stay at the beach. But between fires, Prohibition, the Great Depression, political maneuvers, the need for roads and general neglect, much of Venice of America deteriorated, was demolished or buried under concrete. In the ’90s, though, the remaining canals were restored along with arching bridges and sidewalks, so that all may look upon the sparkling water and gorgeous homes (most go for at least $2 million) with envy and appreciation. I've yet to see someone actually paddling in their canoe, but they're a nice touch. 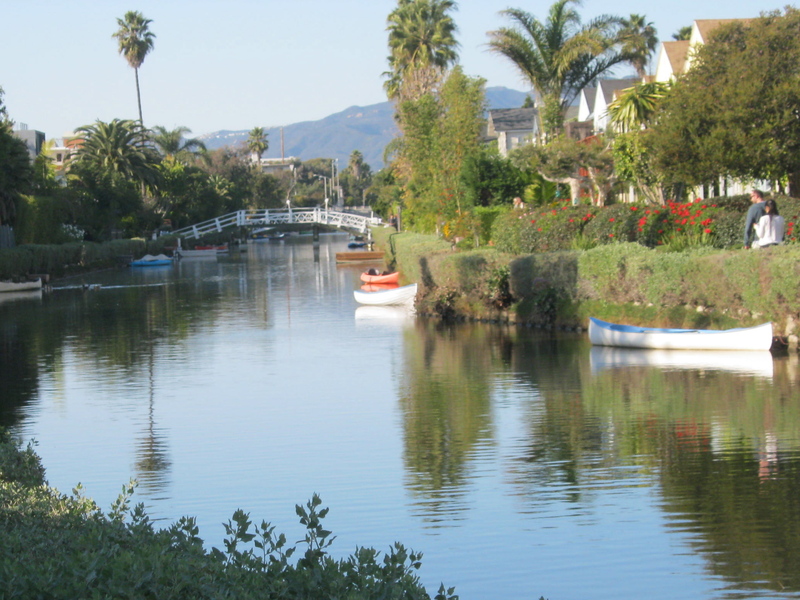 While the canals still aren’t as heavily trafficked as the notorious Venice Boardwalk, which is probably a relief for homeowners, it’s clear that residents know the eye-candy value of their homes, and they maintain them accordingly. This resident expressed her (or his?) 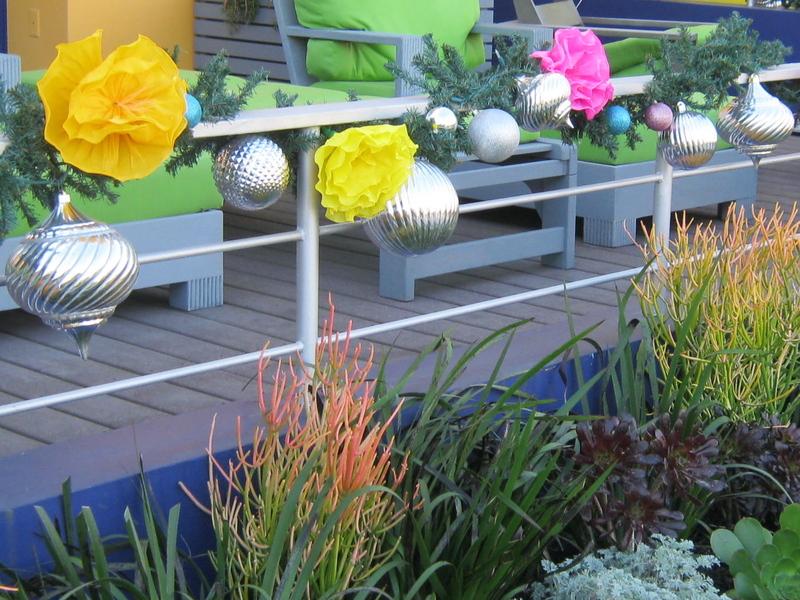 holiday cheer with a garland of silver ornaments, disco balls and neon paper flowers. 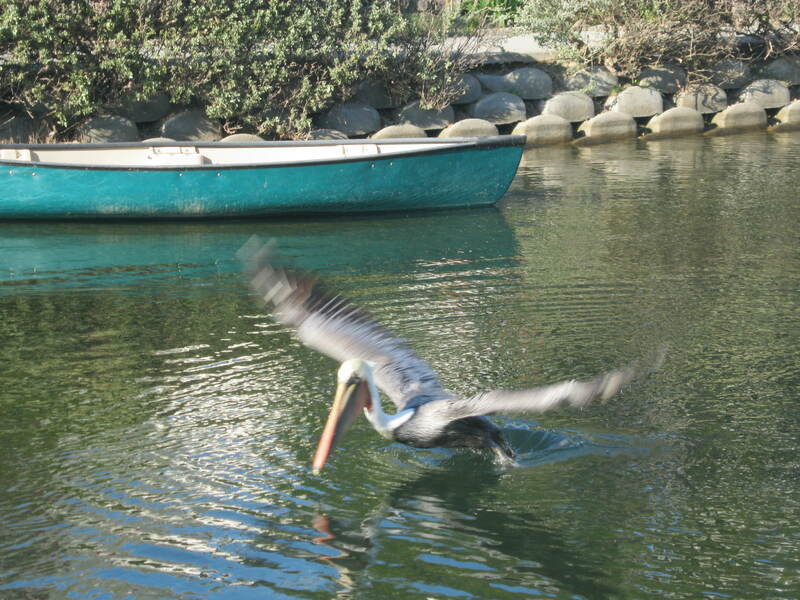 A pelican takes off from the water and swoops underneath a bridge, right underneath two squealing tourists. 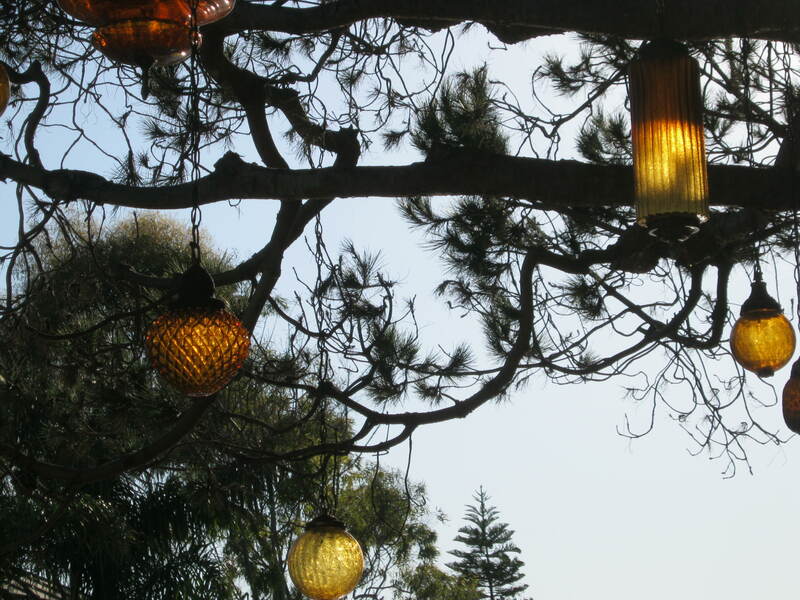 I stood and stared at these lanterns for a minute. 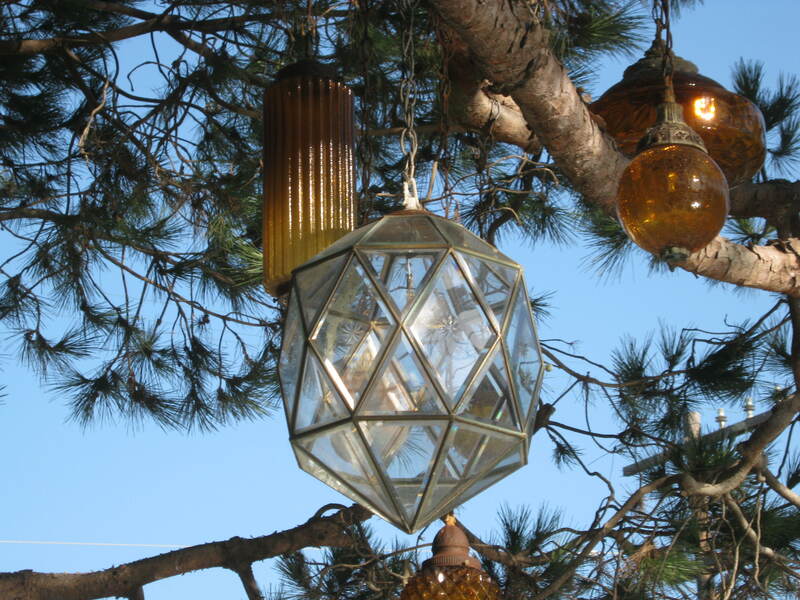 They're unexpected and elegant at the same time. I took Nelly out again for an afternoon walk to the Venice Pier, hoping to catch the sunset, not realizing this would occur as early as 4:50pm. 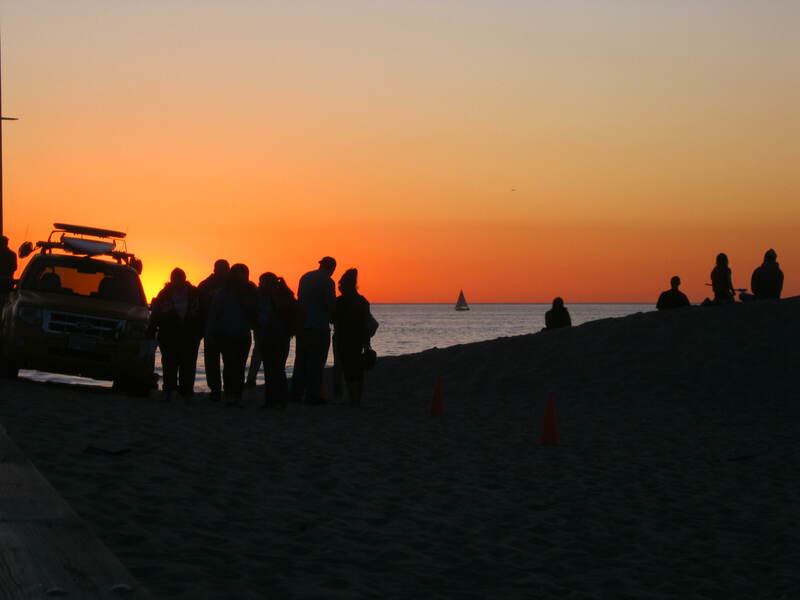 I started speed walking, turning my camera on just as a beachfront bar called the Whaler erupted in cheering and cowbell-ringing, heralding the disappearance of the sun behind the horizon. If aliens studied this microcosm of the human race, they might think we were all crazy, sun-worshiping pagans and leave us alone.